D4 Banner Stands are floor standing pop up banner displays. 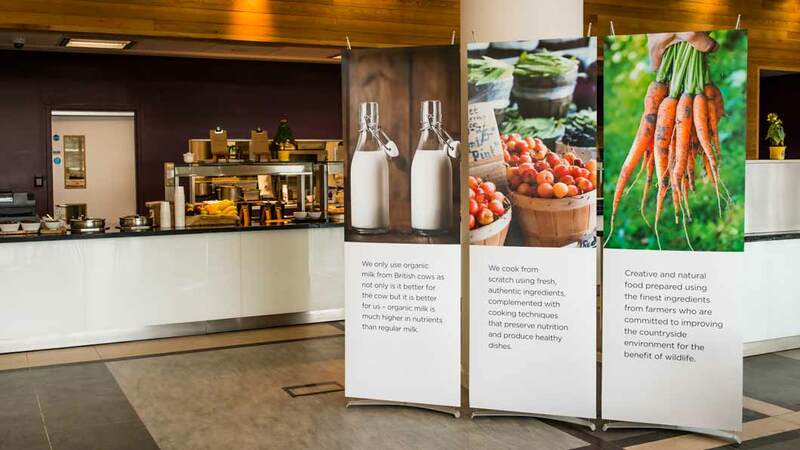 Our D4 pop up banners are a great alternative to pull up banners. Suitable for use in corporate offices, marketing purposes, events, and trade shows. 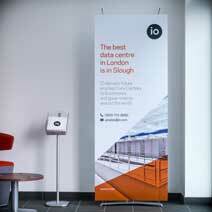 D4 pop up banners are lightweight, compact, quick and easy to assemble. They pack down into travel bags and are easy to carry. Perfect for branding and marketing communications. 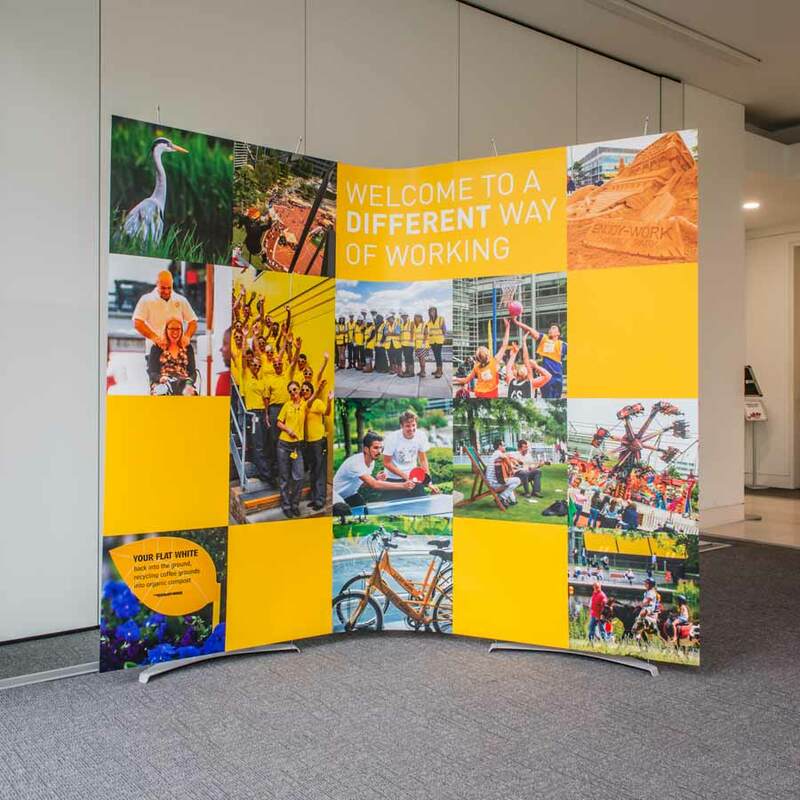 D4 pop up banner stands are suitable for displays in reception areas, marketing suites, and exhibitions. Utilise them for your events or marketing purposes. 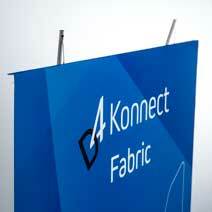 Our satin opaque fabric banners look great on the individual displays. 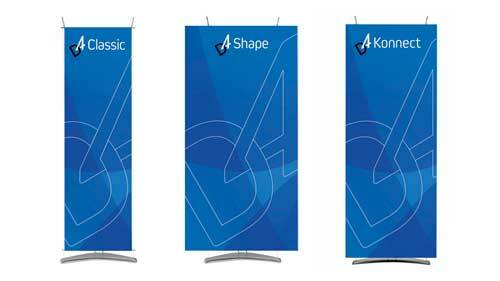 Custom banner sizes can be fitted to the Classic & Shape models. Banners float just off the floor, so the displays appear to take up less space visually. 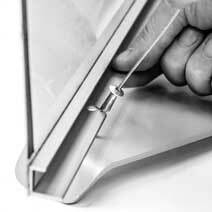 Steel baseplate makes the display very stable and suitable for permanent installs. Users can change their own pop up banners quickly and easily. 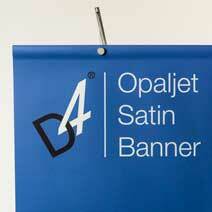 Our standard banners are printed on opaque 300 micron polyester film. Optional 50W downlight accessory illuminates your marketing graphics. 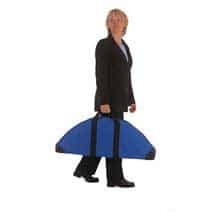 Displays pack down into soft travel bags thats can be carried by hand to events. 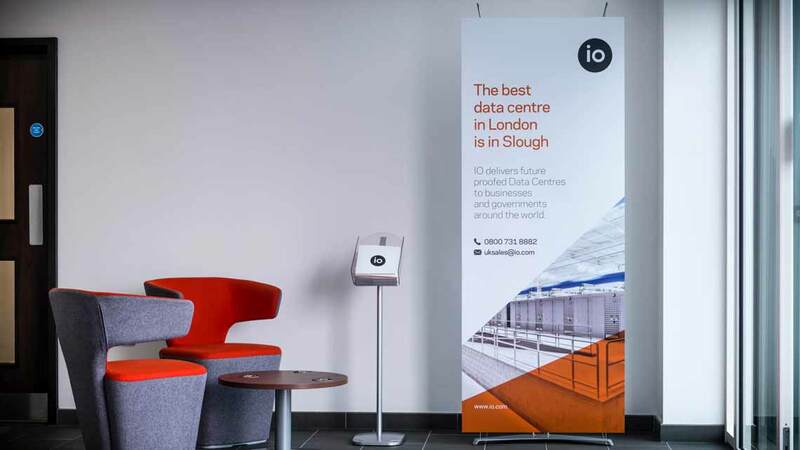 D4 pop up banners are suspended on two tension cables, held in place by aluminium masts. How the banners are attached to the cables is different for each model. 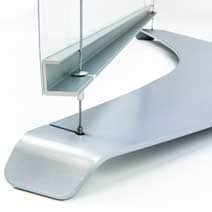 Displays are available in 60cm, 70cm, 80cm, 90cm, 100cm and 120cm widths. Overall height of all D4 banner stands is 218cm. Displays weigh from 5kg – 10kg depending on model. 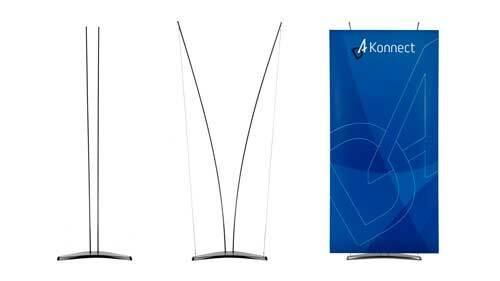 D4 Konnect Displays let you create both types of display, using one pop up display system. 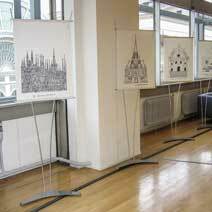 Turn 80cm, 90cm or 100cm D4 Konnect units into a seamless exhibition system. The magnetic connection system is easy to use, with no tools required for assembly. 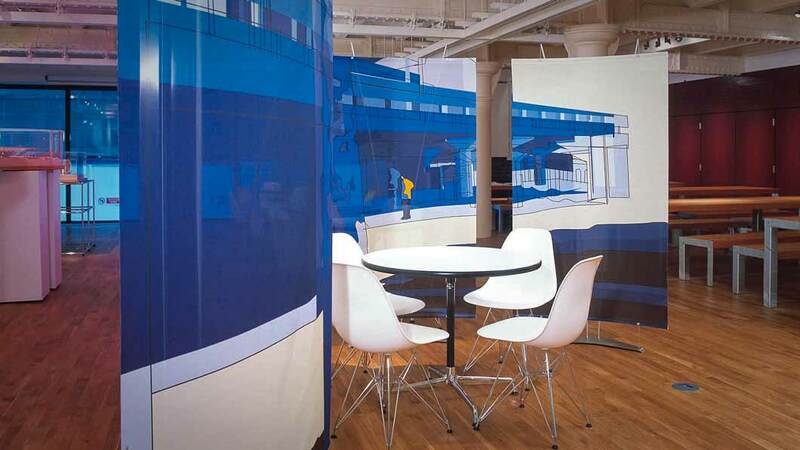 D4 Konnect exhibition systems are a great alternative to pop-up systems. Save money by using pop up stands to do two jobs. Q. Can I use the same curved bars to create both convex & concave shaped banners? Yes just turn the bars around and insert back into the pocket to create the reverse shape. Q. Can I use the D4 outdoors? No, we do not recommend it. 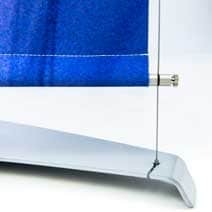 A strong gust of wind can blow pop up displays over and damage your banner. Q. How quickly can a D4 pop up banners be assembled? 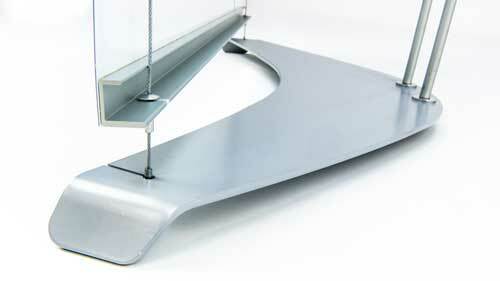 Single banner stands in 2 – 5 minutes. Q. 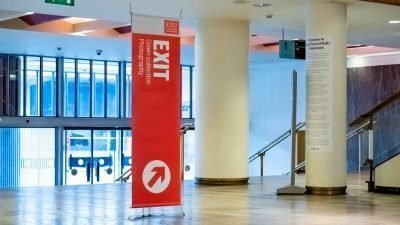 What is the lead time for producing a display and banner? Allow 5 – 6 days. We can sometimes produce them quicker call to check lead times. Q. Can I buy a D4 display without a travel bag? Yes. Please call / email, to get a revised price. Q. I’m a banner printer, can I buy the system only from you? Yes. D4 systems are usually available from stock. Call to for trade prices and availability. Q. Can we hire a D4’s from Dimensions? 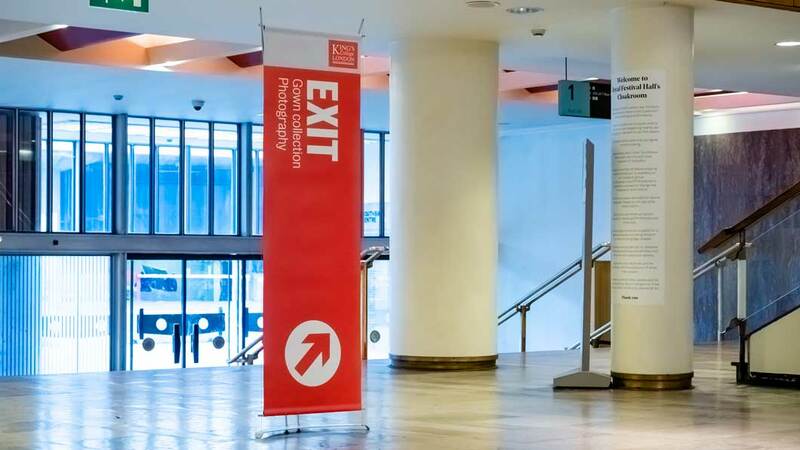 ﻿We offer London only service if the banner printing is placed with us. Call for details. Q. Where can I purchase replacement bulbs for the downlight? 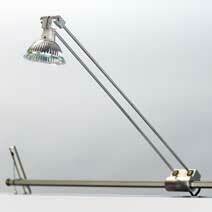 Most good electrical shops will sell 50W halogen bulbs, take along the old bulb if you are unsure. Q. Will my downlight work abroad? Downlights supplied with a British plug will require a European plug adapter for use in Europe. Download the Digital Artwork Guidelines PDF for large format digital printing from the downloads page. Q. Where can I download images to show my manager? Q. Do you have Pinterest gallery of your displays?